In the previous blog posts, you've learned a few techniques to control which model properties get (de)serialized. So far, this always has been on the property level. You can change the (de)serialization for one element at a time. In this blog post, we'll look at a way to set up more general rules to control which properties get converted. You've already learned about transient and @Expose, which changes the (de)serialization for single properties. In the next few minutes we'll look at more universal approach. Gson calls them ExclusionStrategies. Of course, you have to set them via GsonBuilder. You can use exclusion strategies for a lot of different scenarios. It makes it much easier if you've some universal system of specific (de)serialization exclusions. Please note that you can pass multiple exclusion strategies as a parameter. If you don't see the point of the exclusion strategy at the moment, that's okay! We'll go much more in depth with more complex types soon. You'll see the value for sure once we moved onto writing our custom adapters. Luckily, with exclusion strategies you can set Gson to ignore any class. The way these two methods work is identical to the previous general approach with setExclusionStrategies(). You can implement and pass the same ExclusionStrategy object. As we've explained previously, all model fields with a transient modifier are by default ignored during serialization and deserialization. The GsonBuilder lets you change this behavior. With excludeFieldsWithModifiers() you can customize which modifiers are not included during (de)serialization. The method expects one of the modifiers from the java.lang.reflect.Modifier class. Note how the Gson instance included the email field, even though it's transient. Calling the excludeFieldsWithModifiers() method overwrites the default settings. We've only passed static and final, thus the transient modifier will not be ignored. If you want that all fields are included, no matter of the modifiers, just pass an empty list to excludeFieldsWithModifiers(). Finally, one option we're not big fans of, but will mention to give you all the options: excludeFieldsWithoutExposeAnnotation(). As the method name suggests, this excludes all fields which don't have an @Expose annotation. You can force your application models to have @Expose annotations everywhere and make sure the developer thinks about which field gets (de)serialized. In this blog post, you've learned how you can exclude properties on a more general level. ExclusionStrategies offers two options on how to exclude properties. You can filter based on the class type or the name of the property. There are additional more specialized exclusion strategies. 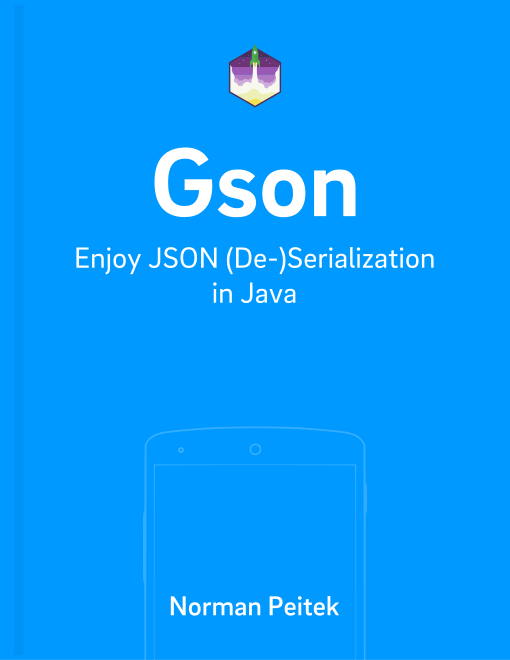 In the next blog post, we'll look at how flexible Gson is if the JSON isn't structured according to the standard.